Welcome to back to another instalment of my Festive Gift Guides for Christmas 2018. 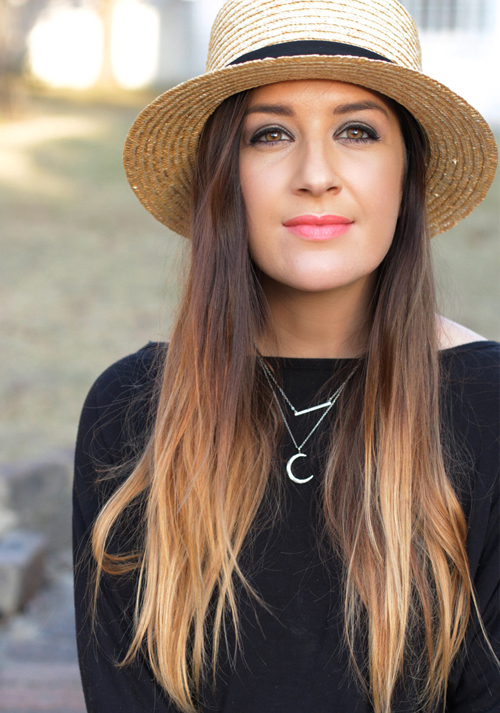 Today, I’ve got a couple of fab gift ideas that come in under the R350 mark. Most of them are actually under R300, but since one was just R20 over, I had to be fair with my title. 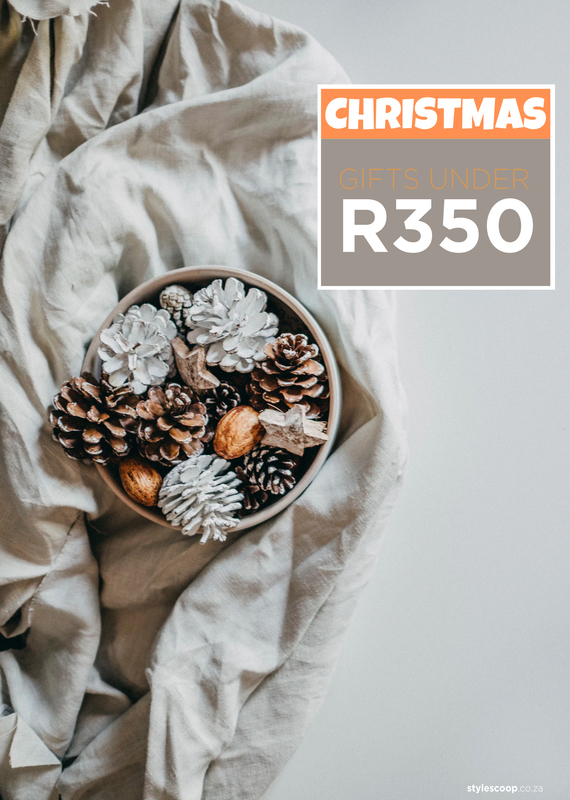 Like my Gifts Under R200 post that I shared last week, I wanted to find gift options that are useful and above all, good quality! This list is also not exclusive to the ladies. I mean, StyleScoop is a blog for the fabulous females out there, but you might even like some of the ideas for guys too! I guess you could say I’m full on adulting, since I would totally consider a cool kitchen gadget an awesome gift. But I mean awesome okay? I don’t mean another thing that would just clutter up my drawers. I mean, something useful and cool, like this Joseph Joseph Herb Chopper that comes in at R249. I’ve got a couple of Joesph Joseph items in my kitchen and some I’ve had since about seven years ago. I tell you, their stuff lasts and this half moon herb chopper is something most aspiring domestic goddesses could use, and likely don’t have. When I was researching for cool gifts, I happened upon this Paracord Camera Wrist Strap by local, South African Company Killer Straps. I thought it would make an awesome gift for any happy snappy! I know, I’d totally grin from ear to ear as again, this is a useful yet unexpected gift. The best kind! Basically, its a camera DSLR strap that allows you to secure your camera to your wrist. It’s made from a Paracord material that’s super durable; so if your camera accidentally slips out of your hand while you’re carrying it or shooting, you have the peace of mind that your wrist strap will stop it from free falling. It also looks really cool as a bracelet! And comes in a stylish box, making it a great gift idea. Giving scented candles as a gift is a good idea, but sometimes it’s not that simple. The ladies I know all have their own preference when it comes to what scents or brands of candles they like. So, unless you know her tastes, spending R350 on a candle she might not enjoy, is a bit of waste. Instead, get her Candle Tools! For instance, a Wick Trimmer from ZARA HOME is a great, great gift and something she’ll love and use. ZARA Home also have other super stylish Candle Tools like a Home Fragrance Plate or a Candle Snuffer, all of which are under the R300 mark! Okay, so since we’ve wisened up to the effects that plastic straws have on our environment, this has also opened up a whole market of re-useable drinking straws. But here’s the thing, not many people own a set, so it may be an ideal Christmas Gift. 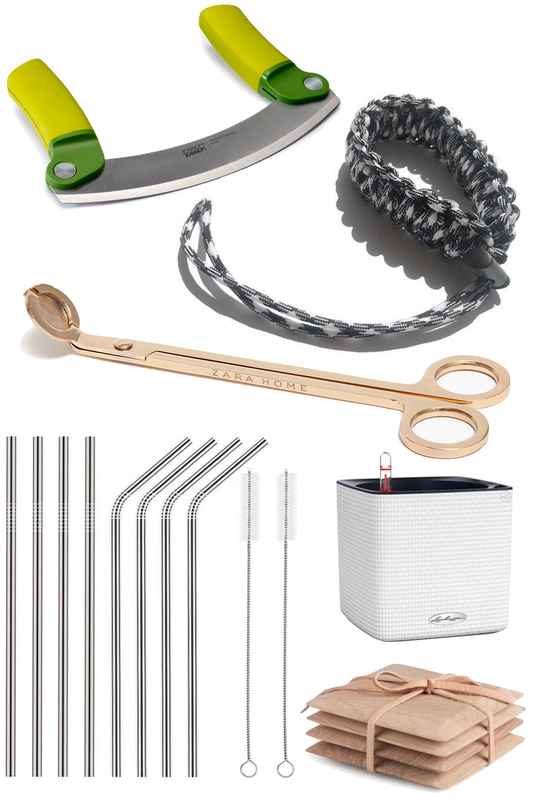 You get a couple of different materials for re-usable drinking straws, but I personally prefer steel ones as the bamboo ones make everything taste strange. You also get them in packs of 2, 4’s and 6’s etc, but I think if you’re spending R300 this 8 piece set from Takealot is perfecto! RIGHT NOW it’s actually less 33%, so instead of paying R300, you’ll be paying R199 (woot woot)! But hurry, I’m not sure how long this offer is on until. A really cool item for friends with green fingers is this Lechuza Cube Watering Planter. This is the only product from my gift list that is just over R300, but I couldn’t resist adding it as it totally makes a smart gift! Made in Germany (to the highest production standards… I LOVE THAT) it’s essentially a Self-Watering Planter. So, even if you’re not that good with watering herbs but you really want to grow your own, this may be just the thing you need in your life! Love the idea, but not in the right budget? Don’t stress, Lechuza also has a 14cm Self Watering Planter at R199 and if you have bigger budget, then something like the Lechuza Delta 20 Self Watering Table Planter (R599) is also pretty cool! If you’re buying someone a gift for their home, coasters are always a winner! I love, love, love these Square Tapered Wood Coasters that are made from weathered oak. They are so beautiful, great quality and they look sleek and stylish. Check out all my past gift guides for the Holidays here.